The 10000mAh power bank can top up any 3000mAh smartphone on an average of 2-3 times at its full capacity, as per the company. With the 9 layers of advanced chipset protection, the power bank has a multitude of safety features integrated such as over discharge protection, overvoltage protection and temperature resistance. Ambrane has launched its latest 10000mAh PP 12 power bank. The company says that the rubberized matte finish power bank with smooth curves offers a superior grip with sturdy looks and also endures through your daily wear & tear by preventing scratches on the surface of the body, thanks to its rugged ABS build. Building a stronger surface resistance, the device has gone through a series of reliability tests to ensure it can withstand shocks and drops, keeping fears at bay, as per the company. 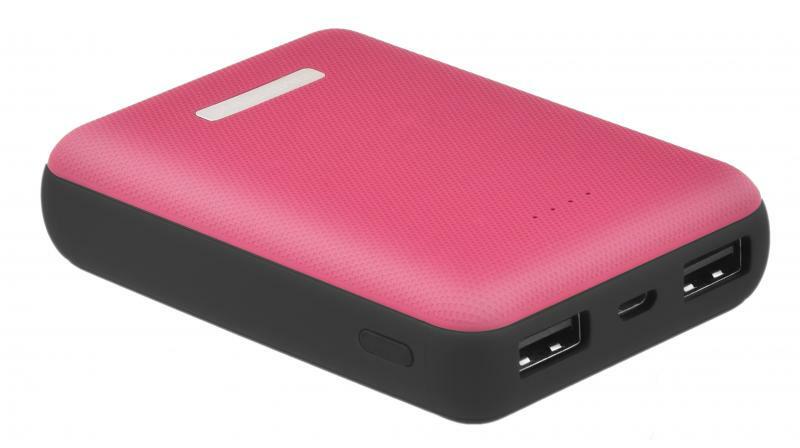 The 10000mAh power bank can top up any 3000mAh smartphone on an average of 2-3 times at its full capacity, as per the company. It can also withstand upto 500 times of charge-discharge cycle. With the 9 layers of advanced chipset protection, the power bank has a multitude of safety features integrated such as over discharge protection, overvoltage protection and temperature resistance. You will never run out of charge again, with the integrated LED Light indicator which denotes the battery status of the power bank. It is available in Red and Blue colour options and is already available in retail and e-commerce stores across India.